Rutheniridosmine: Mineral information, data and localities. The name reflects its composition , being comprised of RUTHENium, IRIDium, and OSMIum. Rutheniridosmine was defined as a new species by the IMA-CNMMN-approved nomenclature of the natural alloys of Os-Ir-Ru (Harris & Cabri 1973). 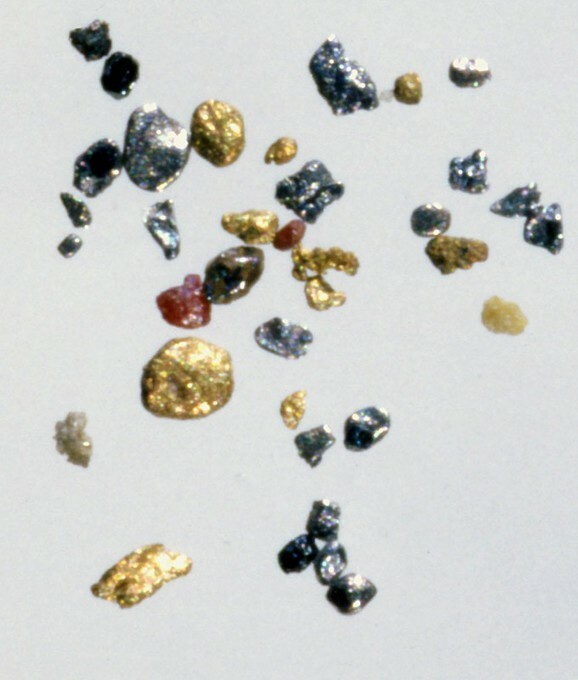 The natural occurrence of the mineral was confirmed in the same paper by Harris & Cabri (1973) from many Canadian localities, from Japan and from an unknown locality in New Guinea. The compositional field for rutheniridosmine was restricted by the revised nomenclature (Harris & Cabri 1991) to alloys in which Ir is the dominant element. Not to be confused with ruthenosmiridium. Osmiridium 2 photos of Rutheniridosmine associated with Osmiridium on mindat.org. Iridosmine 2 photos of Rutheniridosmine associated with Iridosmine on mindat.org. Osmium 1 photo of Rutheniridosmine associated with Osmium on mindat.org. 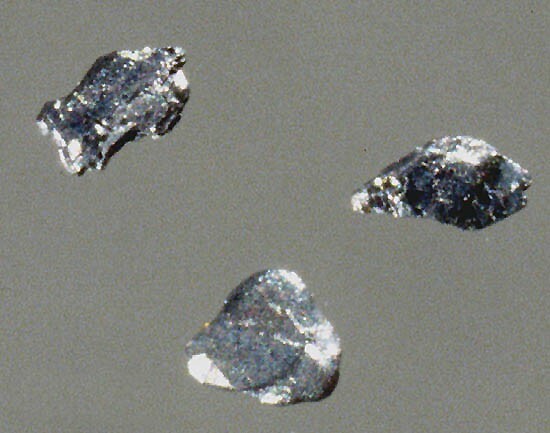 Iridium 1 photo of Rutheniridosmine associated with Iridium on mindat.org. Gold 1 photo of Rutheniridosmine associated with Gold on mindat.org. Tulameenite 1 photo of Rutheniridosmine associated with Tulameenite on mindat.org. Isoferroplatinum 1 photo of Rutheniridosmine associated with Isoferroplatinum on mindat.org. 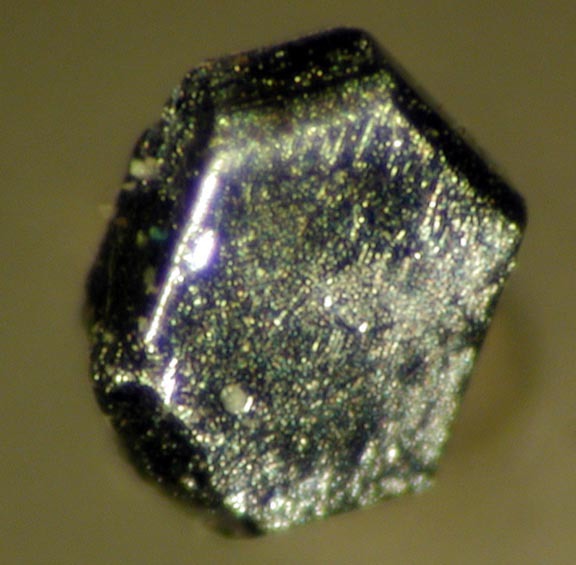 Magnetite 1 photo of Rutheniridosmine associated with Magnetite on mindat.org. Harris, D.C. and L.J. Cabri (1973) The nomenclature of the natural alloys of osmium, iridium and ruthenium based on new compositional data of alloys from world-wide occurrences. Canadian Mineralogist (1974): 12: 104-112. American Mineralogist (1975): 60: 946 (abstract). Cabri, L.J., Ed. (1981) Platinum group elements: mineralogy, geology, recovery. Canadian Institute of Min. & Met., Special Volume 23: 134–135. Harris, D.C. and L.J. Cabri (1991) Nomenclature of platinum-group element alloys: review and revision. Canadian Mineralogist (1991): 29: 231-237 [Redefinition; all localities except those included are suspect - multiple TLs]. Criddle, A.J. and C.J. Stanley, Editors (1993) Quantitative data file for ore minerals, 3rd ed. Chapman & Hall, London, 489. Bottrill & Baker in prep; Cabri L.J., & Harris, D. (1975). Zoning in OS-IR Alloys and the Relation of the Geogical and Tectonic Environment of the Source Rocks to the Bulk Pt: Pt+Ir+Os Ratio for Placers. Canadian Mineralogist, 13, 266-274. HARRIS, D.C. & CABRI, L.J. (1973): The nomenclature of the natural alloys of osmium, iridium and ruthenium based on new compositional data of alloys from world-wide occurrences. Canadian Mineralogist 12, 104-112. HARRIS, D.C. & CABRI, L.J. (1991): Nomenclature of platinum-group-element alloys: review and revision. Canadian Mineralogist 29, 231-237. HARRIS, D.C. & CABRI, L.J. (1973): The nomenclature of the natural alloys of osmium, iridium and ruthenium based on new compositional data of alloys from world-wide occurrences. Canadian Mineralogist 12, 104-112. Malec J, Bohmová V.: Minerály Pt-kovù na ložisku pyropu u obce Vestřev v Podkrkonoší. Zprávy o geologických výzkumech v roce 2011, Mineralogie, petrologie a geochemie, 185-188. Alfredo Petrov specimen (ex-Kristalle), Bart Cannon (Cannon Microprobe) analysis.